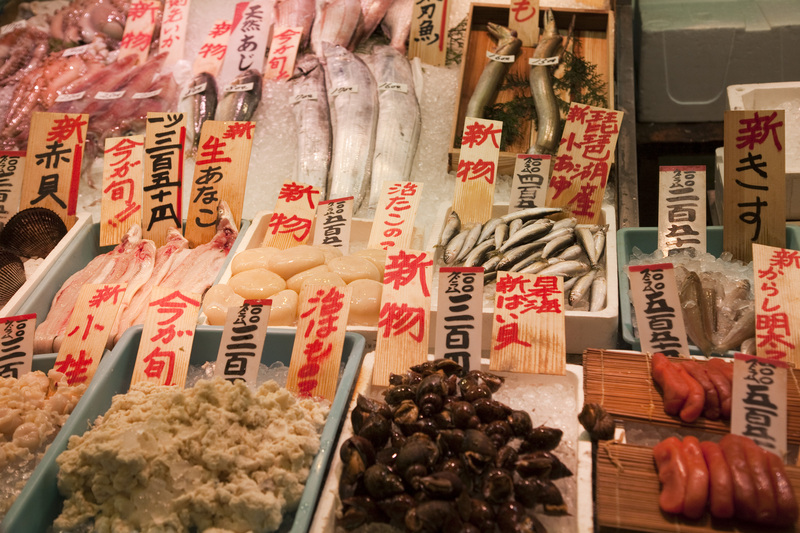 Nishiki Market is a must do if you are in Kyoto and are a food lovers like we are here at Accidental Epicurean. Nishiki has been around for centuries in Kyoto and as such, many of the vendors have been operating their stalls for generations. In fact, today it is where denizens of Kyoto still do the vast majority of their food and supply shopping, so it simultaneously represents both old and new Tokyo. Called the “kitchen of Kyoto” there is a saying in Kyoto, “there is no kind of food that you can’t find at Nishiki.” While, it is primarily a food, kitchen utensils and kitchen gadget market, even if you are not a food lover, or are traveling with someone who is food ambivalent (heaven forbid!) 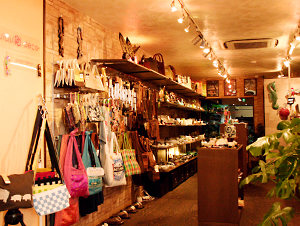 it is also littered with lots of lovely little gift shops featuring Japanese handicrafts. Probably the most famous stall in the market is Aritsugu, a shop started 400 years ago by a famous swordmaker and world famous for its super sharp knives used by many a sushi chef. 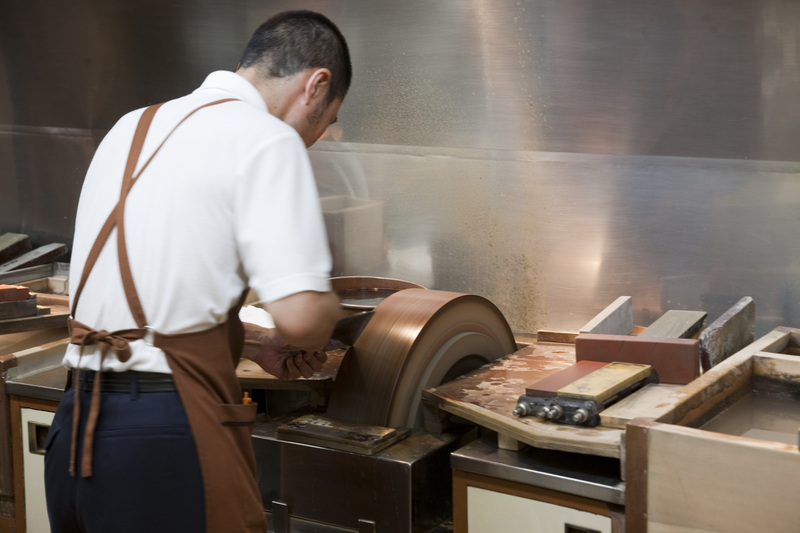 You can see the artisans shaping and polishing the knives right in the store. 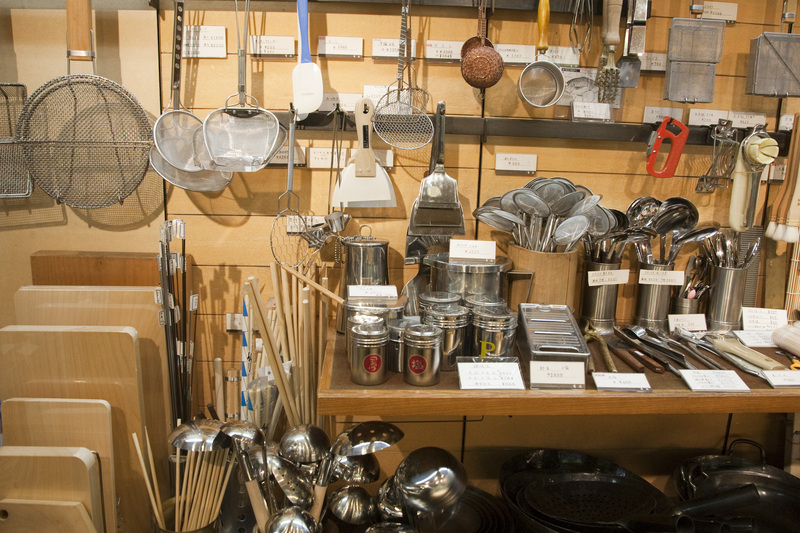 They also carry all kinds of pans and cooking implements….no doubt if you like to cook, you will be tempted to take something home. If you fancy chopsticks, go to Ichihara Heibei Shoten, where thousands upon thousands of chopsticks are on display, all arranged by the type of wood, their purpose (eating or cooking) and style. I happen to be a sucker for unusual chopsticks and enjoy buying one of each kind rather than sets for a more eclectic table setting. If it is food you want to try, go to Iyomata for fresh sushi and sashimi platters. Watch as fresh fish are expertly carved and and made into sushiand sashimi before your very eyes. While you cannot eat there, you can walk away with a platter to enjoy elsewhere. And if you want sake to go with your fresh fish platter, head to Tsunoki Sake. Eight generations of this family have been making specialty and artisinal sake here. You can try a traditional sake or some of the more modern “infused” flavors. My favorite shop in the market for lovely gifts is a tiny little stall called Pulau Deco. This little gem of a boutique features artictics goods from local textile and ceramic artisans. 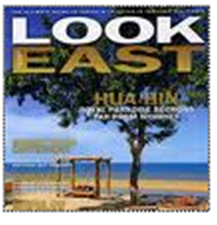 It’s perfect for buying gifts for others and also for yourself. 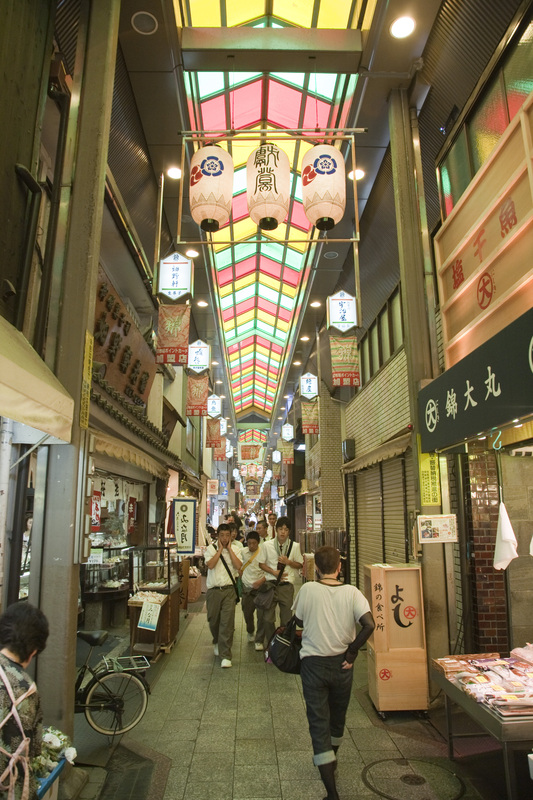 Nishiki Market is a “must do” when in Tokyo, so make sure that in between your temple trekking you make time to see modern Kyoto (food) culture and do some traditional Kyoto food shopping. A little typo there. Should be a Must Do in Kyoto.